6 years old, 8" tall. 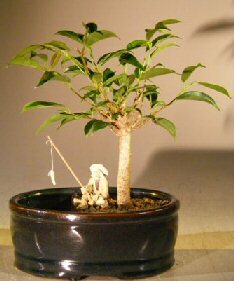 Indoor bonsai tree, grown and trained by Bonsai Boy. Suitable humidity/drip tray is recommended. To purchase add $7.95.